On Second Scoop: Ice Cream Reviews: Central Market Classics Cookie Dough Ice Cream ... made better with Biscoff! 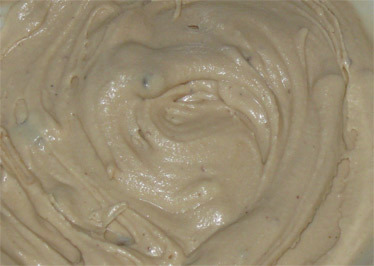 Central Market Classics Cookie Dough Ice Cream ... made better with Biscoff! I'm about to say what could possibly be the stupidest comment ever. Hold tight. You know what makes a great cookie dough flavor ice cream? so, why is cookie dough so hard to master? 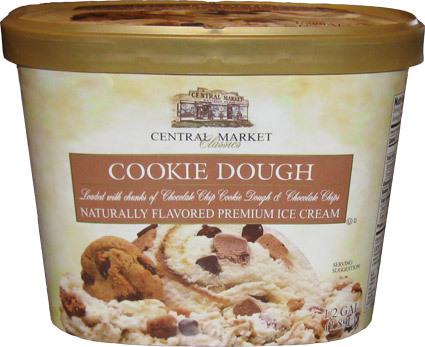 This is Central Market Classics Cookie Dough Naturally Flavored Premium Ice Cream. It's the in store brand of our local Price Chopper grocery store chain. They are a privately held company with over 100 stores and over 3 billion in revenue. Still, that doesn't mean they make their own ice cream... or maybe they do... maybe I should ask? 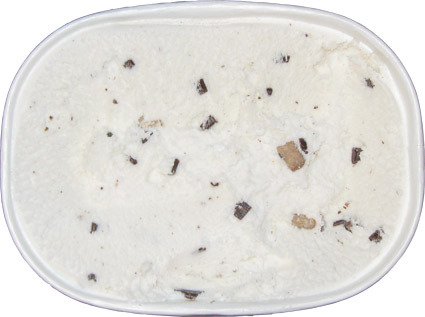 Anyway, we've got a full 1/2 gallon "loaded with chunks of chocolate chip cookie dough & chocolate chips". As an entry level brand ($2.99), I know "loaded" is unlikely and in this case not true, at least on the count of the cookie dough. It does have a fair amount of the little square chocolate chips which do add some small thuds to your bites. Now I started this post off venting with the flavor comment because my wife was quick to point out that she did not like this one. The problem is that it tastes more like the container than cookie dough. It's almost got a bit of a watered down taste, so I wonder if it somehow picks up the flavor of the carton? I don't know what it is or whether it's a straight fluke, but I'm pretty sure she won't eat anymore. Ok, hold on, I need to break out the dictionary for ingredient #4 "cookie dough variegate". What has me curious is the variegate's main ingredient is water, and I'm definitely getting a watery vibe with this one. Hmm, the definition says "To change the appearance of, especially by marking with different colors; streak". Hmmm, that's not exactly food related... Neat, I found a company that makes ice cream variegates. Apparently it can refer to a swirl or ripple in the ice cream, but here I think it's more of an ingredient to flavor the base... which as I said, doesn't have a whole lot of flavor. I guess you could say it's not doing it's job very well. I've already gone through the second scoop, and my feelings didn't change much (or at all, actually). Sure I'll finish this up with the help of my daughter, but I won't be loving it by any means. I've had one other Central Market flavor that was ok, so I'm willing to give them another shot or two at some later date, but they need to step things up soon. I got a bit of an idea yesterday and patiently waited for the right moment to give it a try today. You see, I wondered what would happen if I injected some cookie flavor into my cookie dough ice cream. 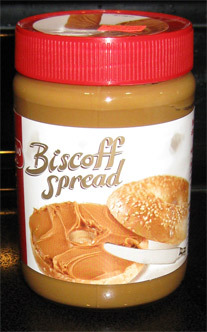 This is Biscoff spread, and if you haven't tried it, you are missing out on one very sweet treat. Basically, this old Belgium company has taken their international cookies and transformed them into this spread that is just really good. My son has it on his bagels and my daughter actually takes it to lunch (just once a week since it is quite sweet and has no real nutrional value). I actually mix it with protein rich sunbutter some times, but we're getting off track here. The point is, this stuff is awesome and you need to try it. Here's my formerly bright white cookie dough ice cream that now looks an awful lot like real cookie dough. The somewhat gritty nature of the biscoff spread has totally hidden this ice cream's underwhelming texture. With the new boost of flavor, I inhaled my ice cream in mere moments. I only put in one scoop of Biscoff but it was more than enough to fix this ice cream's quirks (a little too much so, so be careful if you try this). A biscuit spread!! This sounds like the stuff of dream ahah! Glad it made your ice cream better! Happy Thanksgiving; hope you have a great ice cream to put on your pie!